One major part of life on earth as we know it is energy. Energy is the source of almost all activities of man. For without it, life will not be in existence as we know it. More than half of man’s activities are based on technology which is powered by energy. It is without a doubt that Africa remains one of the last (if not the last) continent in the adoption of technology. This is why its growth over the years has been very slow. Africa is rich in the renewable sources of energy but it is underutilized. North Africa is endowed with oil and gas, South Africa has coal and the Sub-Saharan use mostly biomass. Talk about electricity, it has been found that two out of three African has access to it. But only about seven percent of the hydro-power potential of Africa has been harnessed. South Africa uses about 45% of all electricity generated in Africa, North Africa 31%, and the rest of Africa (Sub-Saharan), 24% (Read more here). Since 80% of the African population resides in the Sub-Saharan, it is important to focus on these areas. Nigeria which is seen to be the largest economy in the Sub-Saharan has the potential to generate 12,522 MW but is currently generating about 4000 MW despite its enormous oil, gas, hydro and solar resources. This is as identified by Power Africa, a program by USAID. Despite the distribution of electricity in Nigeria has been privatized, there been little or no improvement in the industry. There are no transparent distributions or tracking systems for electric distribution companies. This results in over/under-billing of users. To many people, there are limitations in the areas of transparency and accountability for assistance rendered by the government of other countries to Africa. Electricity generation substitute for households like solar inverters is cost intensive. How does it feel to be An African? Being a cryptocurrency enthusiast from the largest economy in the Sub-Saharan is tough, ask me why?. The blockchan technology and cryptocurrency are built on the internet, without electricity there is no internet. Despite the fact that internet is costly (around $1 per Gb on the average), we struggle to get most of the exciting features of the blockchain technology. Where I live, we get only about 8 hours of electricity per day (if this is consistent for a month, we must celebrate it). Mining of cryptocurrency over here is a mirage, anyone who will venture into that will surely run at a loss. There has been no power supply in my area for about a week now because the electric distribution transformer has faults. This is because the number of houses it feeds is more than its capacity, sure, the remedy is to buy another. I am left with petrol/diesel powered electric generating sets (popularly known as Generator in Nigeria). A liter of Petrol is about 40cents over here. But because of the economy, as an average person, you don’t want to be spending more than $2 every day just to have frequent electricity- there are more areas of life that needs to be funded. Over here, when there is a challenge like in my area, waiting for the power distribution company may take months. Thus we are left with house-to-house contributions to buy another transformer (Nigerians can relate perfectly to this). Despite these challenges, I still enjoy living here being a cryptocurrency enthusiast. I am part of the first few who is passionate about cryptocurrency is Africa. I am able to connect with friends over here and all over the world to share and work together to increase the adoption of blockchain technology. Xinfin: a Blockchain Solution needed urgently by Africa. In the previous article about the possibilities of Xinfin solution in the African Agricultural Sector, some of the core features of Xinfin has been explained. Xinfin is a hybrid permissioned blockchain protocol which has the private and public blockchain attribute. It is a fork of Ethereum and Quorum. Xinfin is faster than bitcoin and Ethereum. It charges a lower transaction fee for each transaction. The blockchain solution is not limited by border. Its solution allows users to be able to decide which part of their transaction remains private and which remains public. This is not seen in any public blockchains like Bitcoin or Ethereum. Xinfin uses the Delegated proof of Stake (DPoS) consensus protocol. This means that it does not need mining to create new tokens and confirm transactions. The Delegated Proof of Stake consensus by Xinfin allows any user to possess a master node by locking some XDC tokens among other criteria as specified on the website. Master node holders will be rewarded from time to time according to the tokens locked as the network generates new blocks. 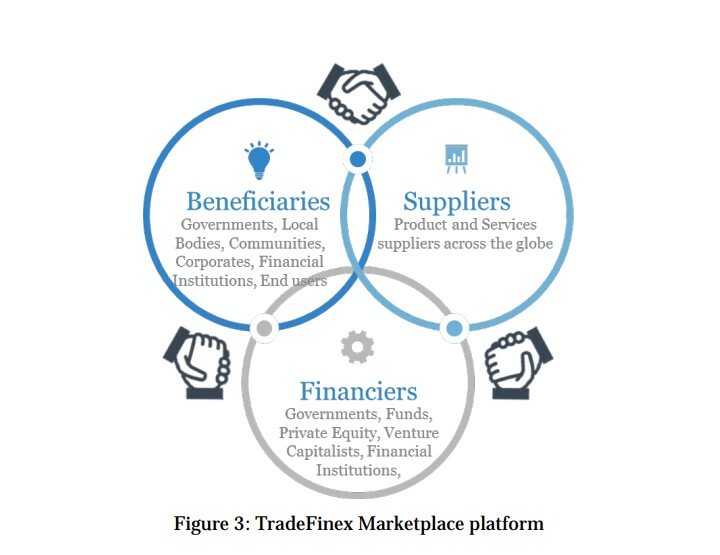 TradeFinex is a decentralized application which is built on the Xinfin’s blockchain protocol, which connects the three key players of the global trade and finance- the beneficiaries, the suppliers and the financiers. The Beneficiaries are government bodies, corporations, etc. which create projects. They need access to global pool of funds to lower their capital and running costs. The Suppliers are product and services suppliers across the globe. They need global market access. The financiers are the investors, government bodies, corporations, etc. who are looking for opportunity to finance projects but are limited for distance and borders. TradeFinex brings these players together to connect and interact directly without any intermediary. 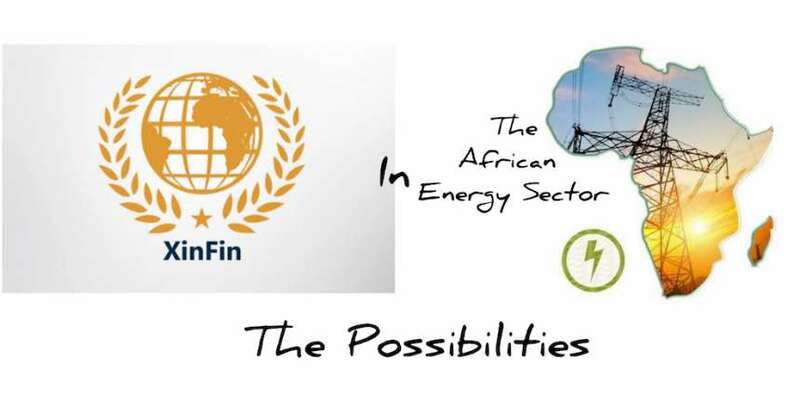 Some of the solutions that Xinfin gives can be used to solve some of the basic challenges of the energy sector in Africa. Xinfin has the Internet of Things (IoT) integration which allows the tokenization and tracking of any physical asset. This ensures real-time access to the health and status of an asset. The Xinfin IoT integration can be used to track power distribution in Africa. This will help to quickly detect and trace faults in the distribution of electricity. The IoT integration can also help to cater for the enormous losses due to the distribution of electricity. The details of this distribution can be recorded with the use of a private blockchain which is only accessible to the government, distribution companies, etc. The private and public blockchain feature of Xinfin can be a great advantage for the electricity usage and payment in Africa. The private blockchain with the IoT integration can be used to track and record the electric usage details of each building and attach payment. Smart Contracts on the network can be used to automatically bill end users. This solution will ensure accurate billing on users. Payment records can be recorded on the public blockchain to be seen by all. Governments in Africa can create proposals on the TradeFinex platforms to seek for finance and ease capital for power supply in the county. Africa is blessed with renewable energy resources but lack capital and modern facilities to harness them. Power supply projects will be profitable for the government as many lives are dependent on it. TradeFinex will open the governments or power distribution companies in Africa to a global pool of funds from interested investors from all around the world. Power corporations in Africa can also come on the platform to seek for funds through their proposals. I believe that Solar Inverter in Africa can be subsidized for end users with this kind of initiative. This will thus bring huge profits for both beneficiaries and financier. This will consequentially increase the power generated in Africa thus easing the demand on government generated electricity. Financiers from all over the world can invest in the proposals published on TradeFinex. The Smart contacts on the platform will ensure the accountability and transparency of the beneficiaries as it will not release financier’s funds unless milestones set are accomplished. There are investors in Africa who are afraid of investing in the power sector through the existing governments, corporations and companies. This is because of the fear of intermediaries, lack of transparency and Accountability. TradeFinex is built on the Xinfin blockchain to cater for these challenges. Through TradeFinex, Financiers are brought in direct contact with the beneficiaries without any intermediary. The smart contract will ensure transparency and accountability. Know Your Customer (KYC) feature on the Xinfin blockcahin and Tradefinex will curb any kind of illegal act, as illegal can be identified. Suppliers of electric distribution material will also benefit from this platform if this solution is adopted. Africa can also be the supplier of energy to other continents via Tradefinex if the power challenges are dealt with. This article is created to help readers see the possibilities of Xinfin’s blockchain solution in the African Energy industry. Xinfin is relevant in many other industries and sectors, it only takes innovative ideas to run D’Apps on the blockchain. Xinfin is willing to allow governments, users, corporations, to run master nodes on their test net. They are also available to present their solutions to any government, corporation, etc. that is willing to see their potentials. Be sure to continue to visit The Currency Analytics and FinancialReport24 for more stories and updates on cryptocurrency and the blockchain technology. We provide the REAL news. [email protected] is my email if you wish to get in touch with me personally.